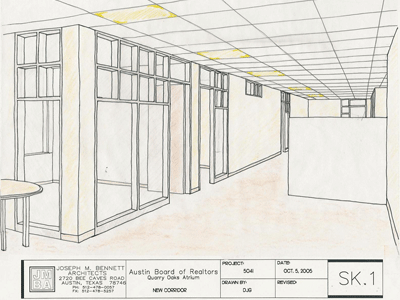 The Austin Board of Realtor's needed to re-purpose some of their existing space for a conference / training center incorporating a separate coffee bar area. They also needed a new retail space for their "Board Store" adjacent to the office buildings main atrium with sales-aid merchandise for local realtors. 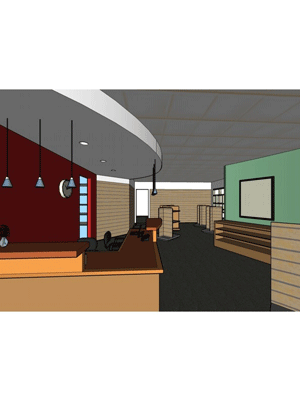 Both of these projects involved new space plans, custom furnishings, and extensive lighting and A/V plans. 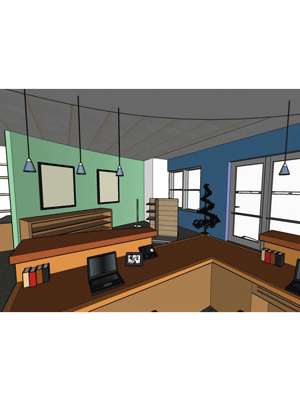 JMBA provided 3-D computer generated models with an animated walk through to assist the realtors in visualizing their new space. 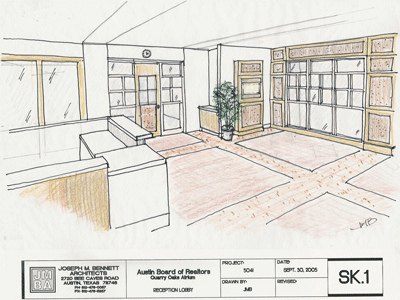 General Contractor: RGD Builders, Inc.
New Retail "Board" Store, 1,285 sq. 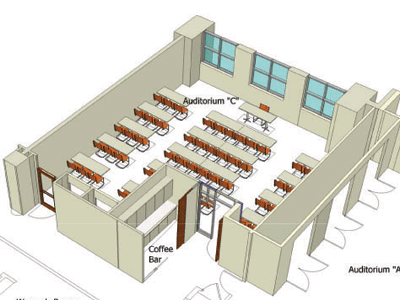 ft.
Re-modeled Auditorium/Training Center, 1,100 sq. ft.